It was an honor for being allowed to host our event at Istana Selangor Palace. The Bavaria Industry 4.0 Workshop was a combine effort by MIDA, Invest Selangor, Bayern International (Germany) and TAPiO Management Advisory Sdn Bhd. The workshop started with welcoming remarks by Y.B. 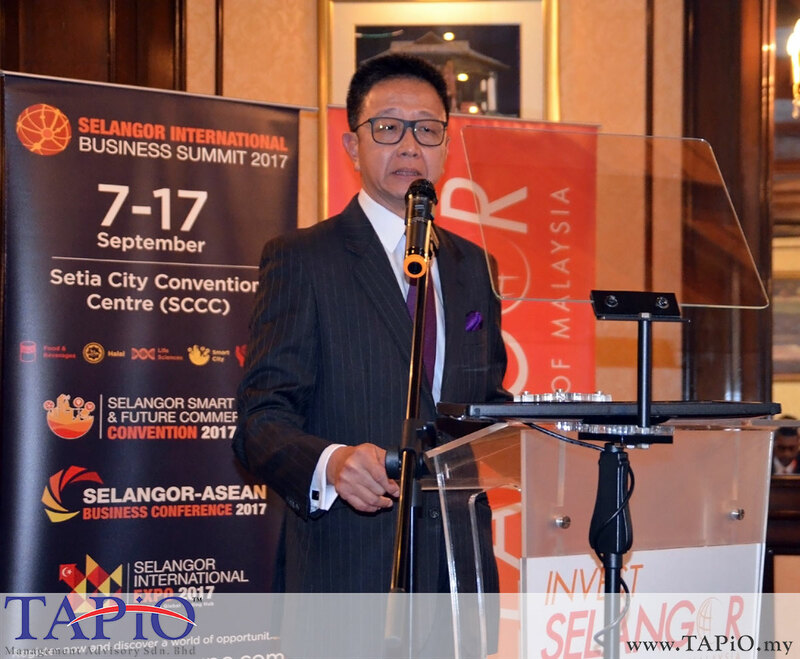 Dato’ Teng Chang Khim, Selangor State Senior Executive Councillor and Chairman of the Standing Committee for Investment, Industry & Commerce, Small & Medium Enterprises (SMEs) and Transportation, Selangor. Mr.Nelson Samuel, Director of Foreign Investment Promotion of Malaysian Investment Development Authority (MIDA), also gave his remarks during the opening ceremony. Game changing Malaysian-German deal. This special practical workshop led by world renowned experts from Bavaria, Germany on the application of the Industry 4.0 in business. - Game changing Malaysian-German deal. This special practical workshop led by world renowned experts from Bavaria, Germany on the application of the Industry 4.0 in business. - Hans-Joachim Heusler, Managing Director of Bayern International was introducing the speakers to participants during the first session of speech. Ms. Silviya Irgyanova, Investment Officer, MIDA – Munich was talking with Mr. Carsten Müller-Deiters Purchasing Director Thailand and ASEAN, BMW Group during the networking session. - The participants ask a question to panels during about the industry 4.0 during the session of question and answer. - Miss. Nuratiqah Ali, TAPiO Advisory Management Sdn. Bhd. - Miss. Subaidah Mohd Rafi, TAPiO Advisory Management Sdn. Bhd.